Jenson Button's Formula 1 career is hanging in the balance as McLaren continue their pursuit of Ferrari's Fernando Alonso. McLaren have been courting Alonso since last year after deciding they want him as a lead driver for their new engine partnership with Honda from 2015. They are not prepared to take any other decisions on drivers until they know whether Alonso will leave Maranello. Button is out of contract this year and wants to stay at McLaren. But the 34-year-old, who has been racing in F1 for 14 years, admitted this could be his last season in the sport. "We haven't sat down and talked about it," he told BBC F1 at the Belgian Grand Prix. "If I have to retire at the end of the season then so be it, but I feel I have so much more to give and I can't imagine life without motorsport and especially Formula 1." McLaren say they are in no hurry to conclude their driver line-up for 2015. Racing director Eric Boullier said: "Jenson is racing for us and we have discussions open with him, but until we have decided on our strategy, we will not finalise our driver line-up." Honda is putting significant financial investment into McLaren on top of its funding of the engine programme and is keen to have an "A-list" driver leading its new works team. Along with Alonso, Mercedes driver Lewis Hamilton and Red Bull's Sebastian Vettel are considered the biggest stars and best drivers, although Vettel's standing is being tarnished by team-mate Daniel Ricciardo's performances this season. McLaren want Alonso whenever they can get him, despite the tumultuous time they had when he drove for them in 2007. The Spaniard fell out with McLaren boss Ron Dennis and the two parties agreed to terminate their contract after just one season of a three-year deal. However, if McLaren cannot tempt the double world champion to join for 2015, they will continue to be interested in attracting him for 2016. Before the start of this year, Dennis also expressed his admiration for Vettel. That leaves current drivers Button and Kevin Magnussen in limbo while McLaren wait for a final answer, although if Alonso decides to join, it is considered likely that McLaren would retain the Dane rather than Button. Alonso, 33, has finished second in the championship to Vettel three times in the last four years for Ferrari, despite inferior cars to Red Bull, and is determined to win a third world title before considering quitting F1. Despite Ferrari having their least successful season since 1994, Alonso is under contract to Ferrari until 2016 and is considered most likely to stay put. He has regularly talked of using 2014 as a building year for a more competitive season in 2015. 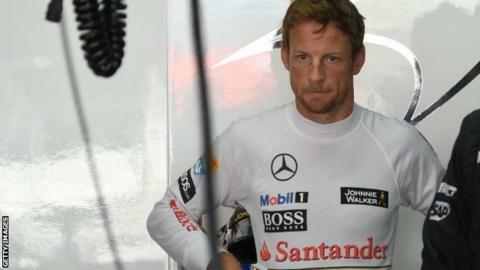 The question for Button is whether he is prepared to wait for Alonso to make up his mind, which could take some time. The 2009 world champion may prefer to look for a seat elsewhere, although there are none obviously available at any of the top teams. If Alonso was to turn McLaren down and Button find another seat, the team would have to try to find a less successful driver from elsewhere. Finn Valtteri Bottas would likely be at the top of that list after an impressive 2014 season, although he is under contract to stay at Williams for next season, while another contender would be Force India's Nico Hulkenberg, on whom Ferrari are believed to have some kind of option.